New Boat Sales and Service. Whether it is water sports, family fun or sport fishing, we have a boat for you! Is your boat in need of motor repair? Joe’s Motor Service offers new and used boat sales and high quality outboard motor repair. We promise to provide exceptional work and craftsmanship. Joe’s Motor Service was begun in August 1959. Being in the marine business for over 58 years, Joe’s Motor Service has all the skills and experience to repair your motor and do it at an affordable price. We take pride in our work and our customer relationships. We have the skills and experience to service your boat. A purchase from Joe’s Motor Service is the beginning of a friendship. Come in or give us a call today for your next boat purchase or motor repair! At Joe’s Motor Service, we have one price plus tax. When we agree on a price, then, that will be the price with tax added. We have no hidden charges such as rigging charges, prop, gas tank etc. “its all in there”, written down and you have a copy. Our word is our bond that’s the way we do business. We use genuine Suzuki and Honda parts in our repair. 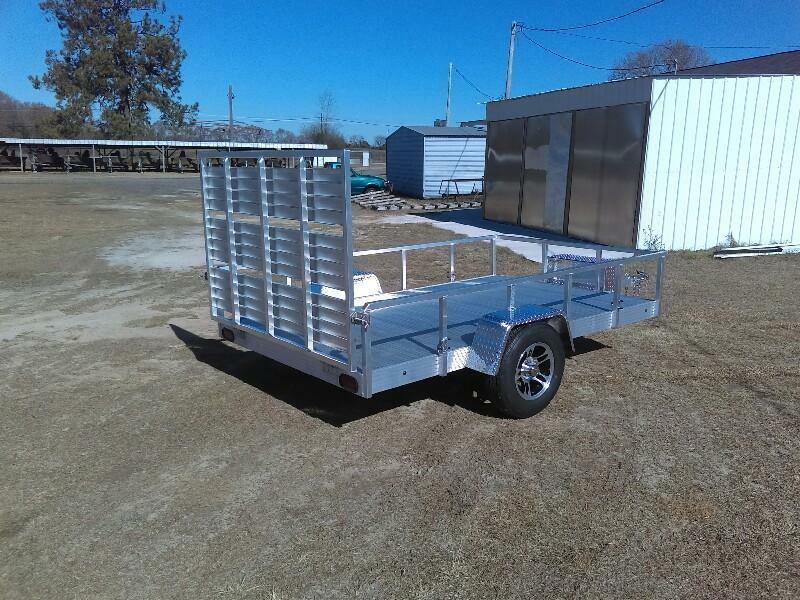 and we have a large stock of trailer and outbound parts. 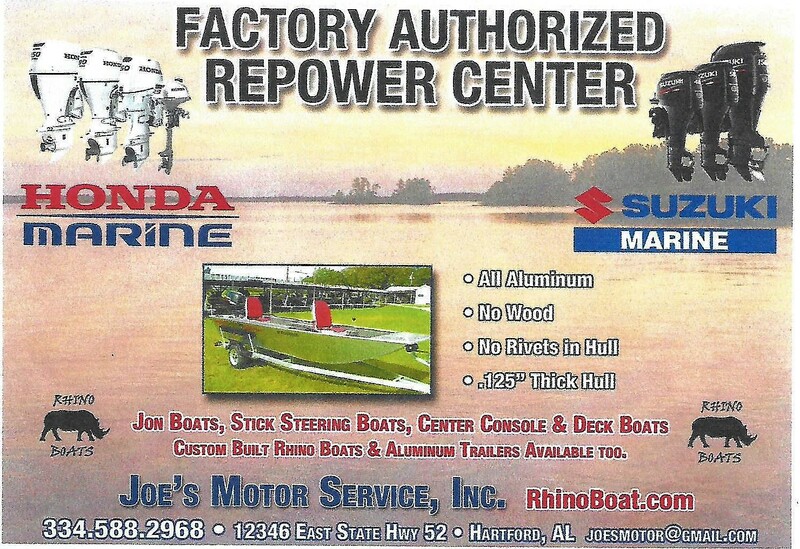 Joe’s Motor Service is now the exclusive Dothan Area Dealer of Glasstream Powerboats. At Glasstream, boat building is an art carried out by career skilled craftsmen who are dedicated to delivering the finest product. Each model is a fresh design and a product of over three decades of research and development. Every Glasstream we build features custom painted graphics making them the most visually stimulating boats The Glasstream Powerboats state of the art design and building processes result in a stronger, better handling, lighter, faster, more fuel efficient design which offers much higher levels of capability in every category. Rhino Marine builds more than boats! 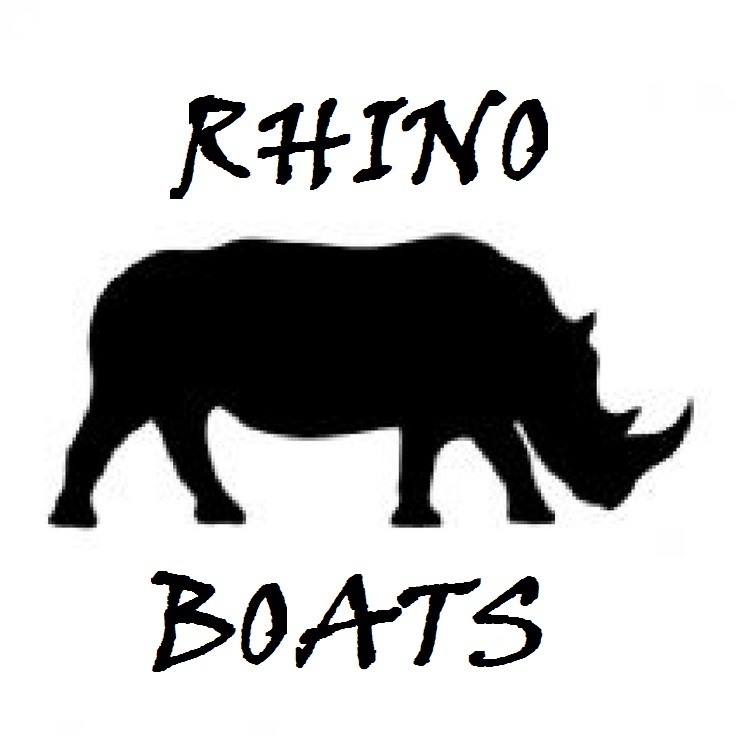 Check out the Rhino Dog Boxes, Pull Behind Trailers and Customized Boats and accessories in our Customized section. See how they can build to fit your needs! We are open Mondays through Fridays from 7:00am to 5:00pm and 7:00am to 12:00 pm during Saturdays. We have on the spot financing as low as motor 2.99% boat and motor 5.99 at times lower. For more information please call us at 334-588-2968 or use our Contact Us form.